It is the killer that no one seems to talk or care about. An estimated 4.3 million people die prematurely every year - that’s almost 500 every hour - from the air-polluting deadly smoke produced by open-air cooking. This staggering amount is more than the number of people who die from AIDS, malaria and tuberculosis – combined! They’re called “the forgotten three billion” by the WHO: the people across the world using coal and biomass (wood, animal dung and crop waste) as fuel on simple stoves and open fires, in order to cook and heat their homes. Most of those affected are women and children in low-income families in developing countries. Smokeless stoves are available, but the impoverished people receiving them can’t afford to buy them and the inevitable maintenance costs of the current models. So what if there was a solution which was both safe to use AND cheap to maintain? Dazin, meaning “to take care”, is a social enterprise in Bhutan bringing together the best existing technologies to make clean cooking affordable. As well as causing preventable deaths, open cooking fires also cause deforestation, soil erosion and emit 21% of all black carbon globally, a major cause of climate change. To solve these problems, Dazin provides impoverished rural communities in Bhutan, but with plans to take the solution beyond Bhutan, with a sustainable fuel source and a smokeless gasifying stove in exchange for forestry wood waste - a sustainable, long-term solution. This crowd-sourced waste is then densified into fuel “cookies” in a local factory. Dazin aims to eliminate deadly open cooking fire smoke – a huge challenge, considering the scale and scope of the problem. But with more support, it’s within reach! 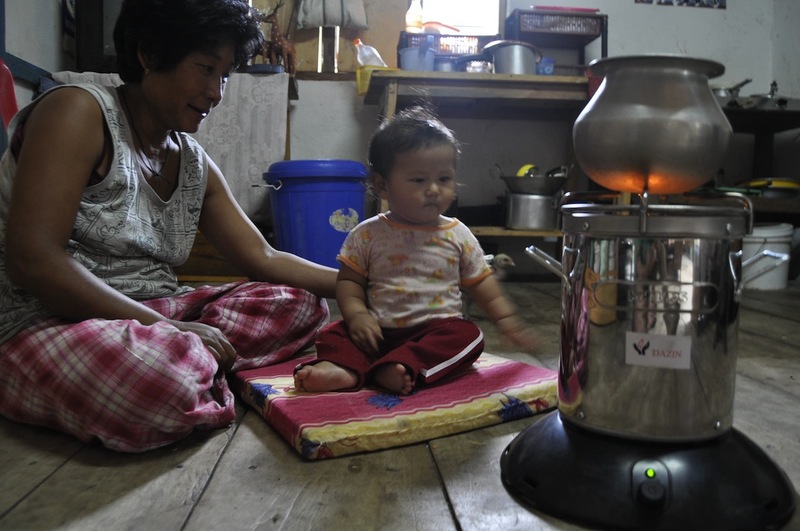 Dazin’s crowdfunding campaign (which has reached over 55% of its target already) will provide funds for 2,000 people in Bhutan with stoves and fuel cookies in the upcoming winter. Dazin already has a long waiting list following a successful pilot programme in Tsirang, Bhutan, and hopes to expand in the very near future. Supporters of the crowdfunding campaign can select a perk along with their donation, such as ‘Cookie Hero’, $59, which is enough to sponsor a year’s worth of fuel cookie supplies for a family. In return, supporters will be sent a real Fuel Cookie (made with love in Bhutan, shipping included) as well as five high-quality digital photos, and a message of gratitude on Dazin’s thank you family tree. Dazin’s founder Deeepak Ashwani is available to talk about his amazing journey and his ambitious plans for the company. If you have any questions or would like to speak to Deepak, please contact sadie@sutrodigital.com or ashleynorris@sutrodigital.com.